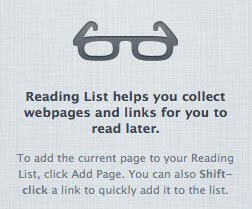 Apple have added a new "Reading List" feature to the next version of Mac OSX which is currently under development, 10.7 Lion. Reading List allows you to collect web pages and links for later reading, as such obvious but slightly inaccurate comparisons have been made to services like Instapaper and Readability, however, Reading List is different from those services as it doesn’t seem to actually cache, modify or strip back the content of the pages added to it. I was a bit surprised by this seeing as Apple added the ‘Reader’ function to Safari a while ago which basically adds the same kind of stripping back of content for easy reading that these other services offer. It seems like an obvious marriage of the two features. Reading List + Reader = A step too far? In light of this disconnect between these two features in Safari I’ve been wondering if there is a deeper motivation for not blending the two together. If users had the capability to use a version of Reading List which automatically used the Reader function to strip content back then I wonder if publishers would complain that Apple was robbing them of page views / ad revenue or manipulating their content without consent? These are accusations that some have thrown at Instapaper and Readability, interestingly Readability does actually give 70% of the monthly fees that users pay to the publishers of sites that their users visit so there is obviously merit to this kind of service but also a conscience about the impact that it may have on websites which depend on visitors and advertising revenue. I wonder if Apple are aware of this and feel that merging these two features in Safari would be a step too far? 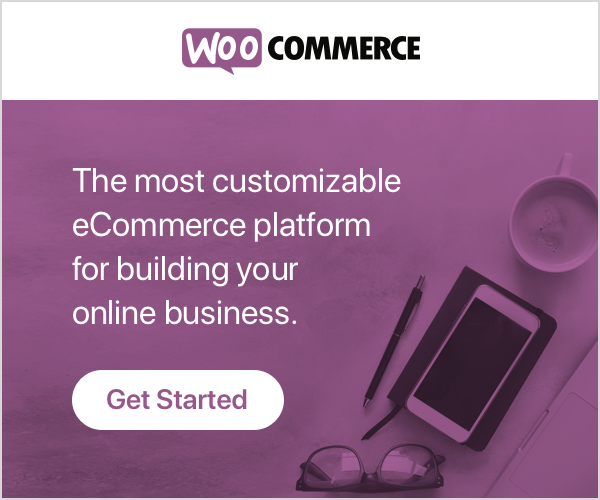 From an end user perspective the ability to strip out adverts from web pages and store website content for offline reading is a great user experience compared to browsing many of the advert-filled, cluttered websites out there. 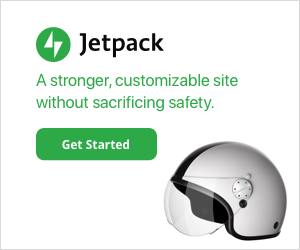 From a web publisher perspective the potential impact on revenue a service like this, albeit with the goal to provide an enhanced reading / user experience for web content, could be huge if a company like Apple integrates it directly into Safari. 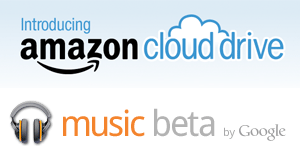 Another couple of items of tech news recently were the launch of Amazon’s Cloud Drive and Google’s Music beta both of which offer what is known as Digital Locker or Cloud Streaming services for music. Both of these services allow you to upload your own music to the cloud so that you can play it back via various net connected devices. Now where this gets interesting is that both Amazon and Google have launched these services without any specific permission from the record labels, specifically they claim that there is no need for any special licensing terms as the service is intended for music that people own already or in Amazon’s case music which is purchased via the Amazon MP3 store. It’s obviously a hot topic – and which is the legitimate approach? Should Apple have to negotiate and pay money to the music companies to allow users (us!) the ability to stream content that we have already purchased? Or are Amazon and Google right that no licences are required or money due to the music companies? It’s a tricky one, but the music labels are adamant that licences are required and so it seems likely Amazon and Google will have to come to some kind of agreement or otherwise face some long drawn out legal challenges. Apple’s stance in regard to the whole situation of digital locker / cloud streaming shows that Apple wants to keep things straight between themselves and the rights-holders of the content that will be stored in their rumoured ‘iCloud’ service. If you apply this same respect for rights-holders and publishers content to a feature like Reading List then it’s not too big a jump to surmise that Apple may not want to do the same thing to web publishers content. It’s hard to know if there’s anything of substance to this theory, it’s just something I’ve been wondering about. The fact that even the Reader feature itself exists in Safari could be viewed as being a sign that Apple doesn’t think there’s a problem offering features that manipulate web publishers content without their consent. But given that there is / has been debate about services like Instapaper2 and that services like Readability do give money back to the publishers whose content is being accessed and read via their services, it is obviously not a clear cut situation either way. As such it would be entirely responsible for Apple to consider the implications of such a feature. 1. I also suspect that another difference with Apple’s service may be that it only supports content purchased directly via iTunes rather than letting you upload any music or video content. Two things back this up, 1: the music labels do not like the idea of users being able to upload their own content due to piracy fears, and 2: the Ping social network within iTunes only lets you like and share music that is in the iTunes Store. 2. I should point out that Instapaper does offer integration with Readability and as such allows Instapaper users to give back to the web publishers whose content they consume via the service. I definitely don’t intend to give the idea that the creator of Instapaper or similar services don’t respect the rights of web publishers! In fact it is possible for publishers to request that content be excluded for parsing by both Instapaper and Readability’s services – something that doesn’t seem to be possible for the Reader function built into Safari! I am myself a user of Instapaper and use the bookmarklet and RSS feed as a simple way to manage a list of articles to read at a later date.